I was thrilled to learn that Thundra won Enterprise Management Associates’ prestigious Top 3 award, which identifies top vendors poised to address critical enterprise pain points in serverless adoption. Being chosen for this award marks a great start for 2019 and affirms the hard work we put into Thundra in 2018, when we launched out of stealth and spun the company out of OpsGenie. When Serkan approached me back in 2017 about his pet project - monitoring our serverless Java application – I initially questioned why he was proposing to spend time on this ancillary work versus on more critical OpsGenie items. However, as we talked through the challenges we faced with developing and monitoring OpsGenie’s serverless application and Serkan’s solution, we came to realize that there was a larger opportunity for this technology than just an internal project. Surely, other organizations migrating to serverless computing or building new serverless applications were facing the same problems as us. Specifically, we were wasting way too much time guessing at what was wrong with our application and where to focus on optimizing performance. And, as every organization knows, the more time developers spend tracking down and solving problems the less time they are spending writing code. The ability to maximize developer productivity is the difference between being competitive in today’s markets versus falling behind. The plan was always to spin Thundra out into its own company, allowing Serkan to execute on his vision independent from OpsGenie concerns and allowing me to continue my focus on running OpsGenie. 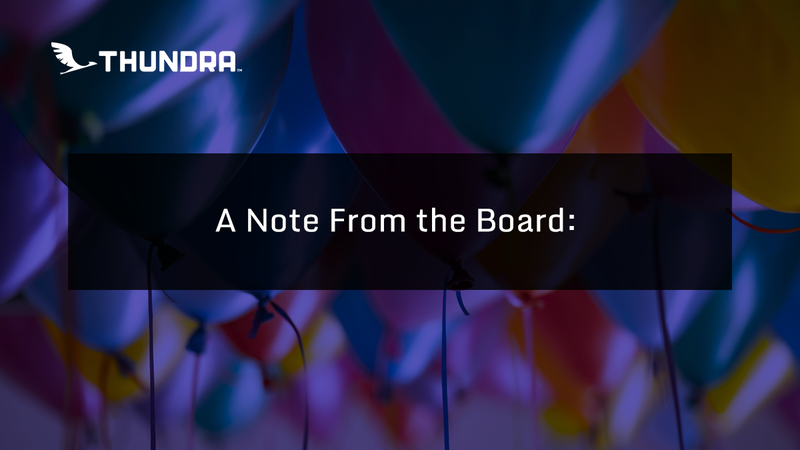 As it turns out, the timing of this move coincided with Atlassian’s acquisition of OpsGenie, which put a definitive timeline on the Thundra spin-out and transition of Serkan to CEO at the beginning of 2019. Serkan and I spent the last portion of 2018 working closely together to establish Thundra as an independent entity and bringing the team through the transition. And look at what Thundra achieved! I was delighted to watch as Serkan led Thundra through launch and set up the organization to achieve keynote presence at AWS re:Invent. Now, his efforts gained Thundra the attention of EMA, resulting in our top vendor award! In a short time, Thundra has built significant momentum which I am confident will continue to build on into 2019 and beyond. The EMA recognition is especially significant, given EMA’s completely independent decision-making process in choosing its top vendor recommendations. Thundra had zero contact with EMA prior to receiving the award and was not given an opportunity to brief, demo, or provide any input or feedback into the selection process. Their analysis is based completely on end-user research, market analysis, technical product reviews, and expert interviews. We were caught totally off guard by the email notifying us that we had been selected for this prestigious award. This recognition is true validation of Serkan’s vision for Thundra. Moving forward, my role with Thundra will be a much more passive one as chairman of Thundra’s board of directors. However, I am excited to still be a part of this amazing new journey with Thundra. And, I am looking forward to watching the organization’s continued success in helping organizations maximize the time they spend on developing new, valuable, applications and minimize the time wasted on identifying, searching for, and solving serverless performance problems. Kudos, Thundra!